Of President John F. Kennedy, many stories have been told. Few are less known or more revealing than the story of his friendship with Robert Frost, America’s most celebrated poet. Yet it was Robert Frost that Kennedy made the subject of one of his most famous speeches, delivered just weeks before his assassination. 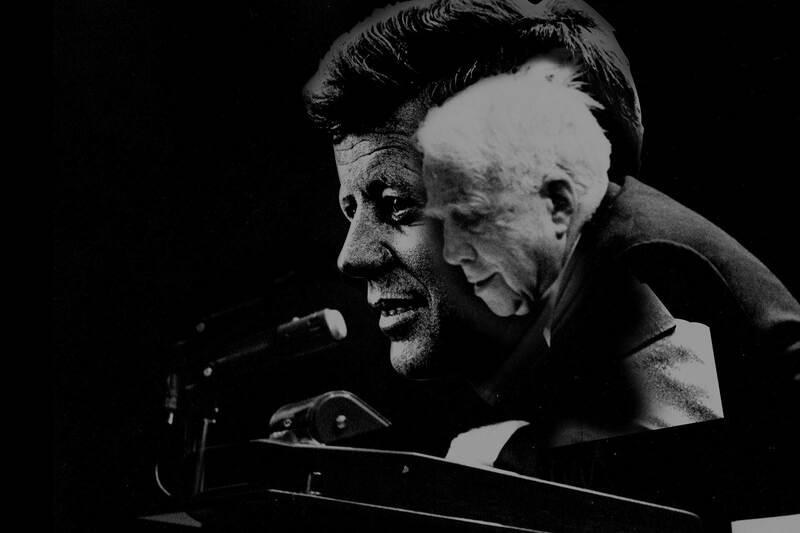 JFK The Last Speech explores the relationship between these two Americans, one that reached its tragic climax after an encounter between Frost and Soviet Premier Nikita Khrushchev at the height of the Cold War. At the film’s center is an extraordinary speech about poetry and power that inspired a group of college classmates to alter the course of their lives. We were college seniors when President Kennedy visited our campus that October day. Fifty years later, we undertook this film project because Kennedy’s message to us is more important now than when he spoke it. Our fiftieth reunion sparked a process of reflection on how we had done, as a class and as a generation, in responding to the challenge to guard the public interest and to champion liberal education and the arts. With the help of a professional filmmaker, we have told some of our stories. We not only carried the torch that Kennedy passed to us, but we also seek to pass it intact to a new generation of leaders who will be responsible for the future of our society and our country. We cherish the values extolled by Kennedy and Frost and hope that they will live on well beyond our time. 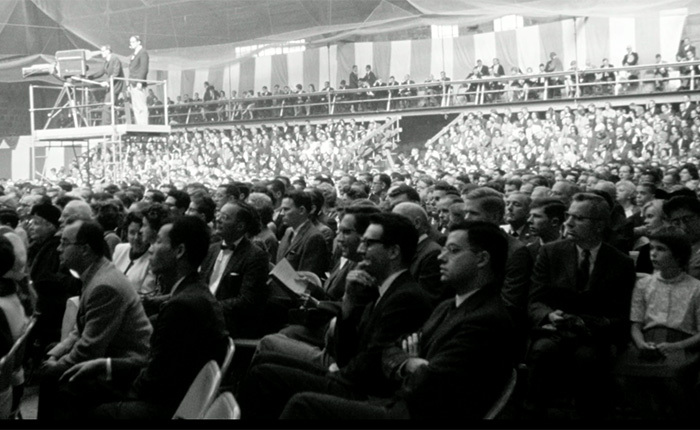 President John F Kennedy (at Amherst Convocation), Courtesy of the Amherst College Archives and Special Collections, Amherst College Library. Crowd at the Convocation. Courtesy of the Amherst College Archives and Special Collections, Amherst College Library.